Gulliver's Travels is a classic of eighteenth century literature. 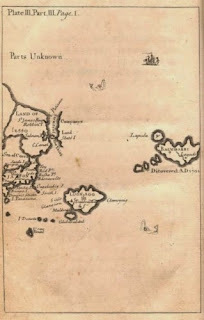 Written within a few years of Robinson Crusoe, the novel often cited as the first English language fictional work, it became an instant favourite of adults and children alike. The parents would recognise the satire within the work as Swift took potshots at a wide selection of the social establishment of the day, as well as a few foreign powers for good measure; whereas the children would enjoy the rampant imagination of tiny people, giant people, immortal people, ghosts and talking horses amongst but a few or the characters he meets upon his journeys. And journeys they were. Most adaptions these days focus on only the first of them, Gulliver's adventure in Lilliput where he is a giant in a land of the little people. But in fact Gulliver made four journeys over the years in the book, and to many, many different lands. Apart from England, where his adventures begin, there is only one other "real" country where he narrates an element of his passage. And that's Japan, where he briefly lands on his way back to Europe, almost in the closing lines of his third journey. He meets the port officials in a coastal village to the north of Tokyo and avoids what was referred to as "trampling upon the crucifix", the Emperor's test for Christians, who were not overly welcome in the country at that time. Actually, it would have been the shogun's test in this era, the Emperor being very much holed up in Kyoto, out of harms way, but the distinction in Swift's time was probably something of a grey area. 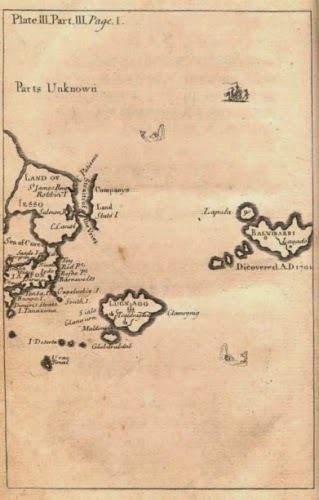 Arguably the story does mention that Gulliver returned to his home via Holland, the Dutch having been traders allowed into Japan at that time and hence providing some of the few ships available for return to Europe. But, as this isn't referred to in the present tense, I'm good to let this go. 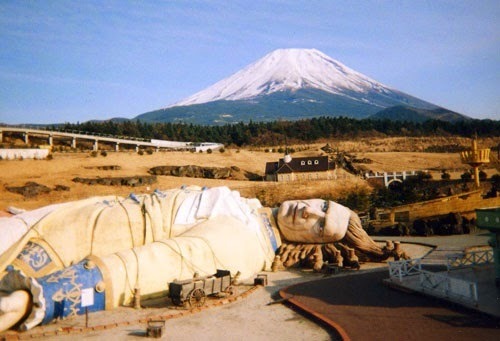 And then more recently, Gulliver returned to Japan for a second adventure in 1997, at a theme park located near Mount Fuji, some 100km west of Tokyo. It was a classic bubble era investment of gigantic (sorry) proportions. However, having located this magical kingdom between Japan's top suicide location of Aokigahara and the headquarters of the sarin gas wielding Aum doomsday cult at Kamikushiki, its life expectancy was alway going to be somewhat short-lived. 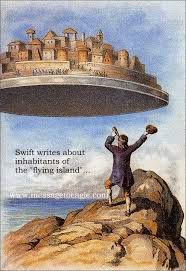 Sure enough, in 2001 the gates were closed for good and Gulliver slipped, once more, into the annals of classic fiction. But whatever, a giant guy chained to the ground with a seemingly broken neck, was never really going to help the children sleep all that well at night. Best just read them the stories. All four of them. They're still classics to this day.